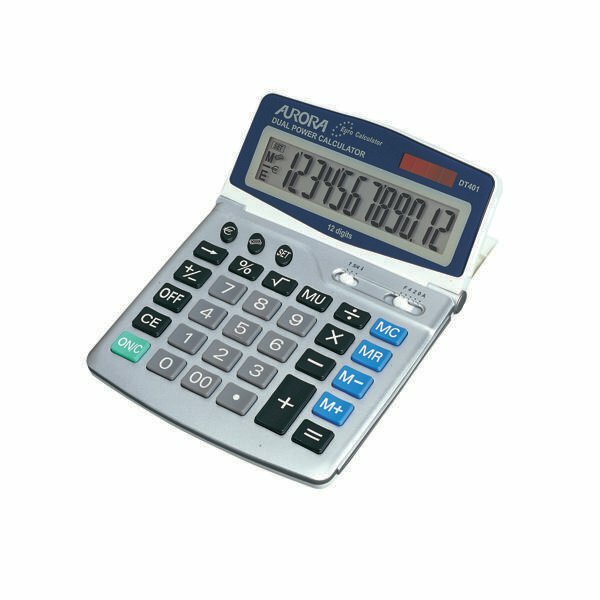 This durable and hardwearing Aurora DT401 12-Digit Euro Desktop Calculator enables you to calculate long, complicated sums quickly and efficiently. With hard keys and an adjustable wide display screen, it is designed for everyday use and features a dual power source for optimum performance and reliability. In addition to the usual functions, it also boasts a programmable currency converter to make fast and simple calculations.